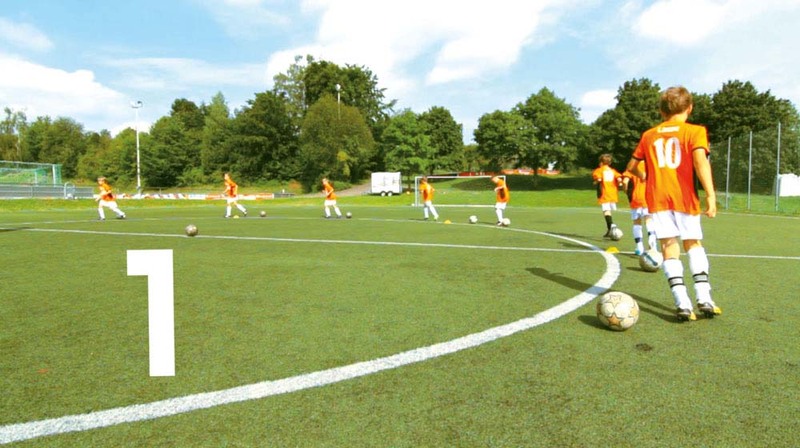 Today we show you a series of youth soccer drills developed by German soccer legend Ingo Anderbrügge. 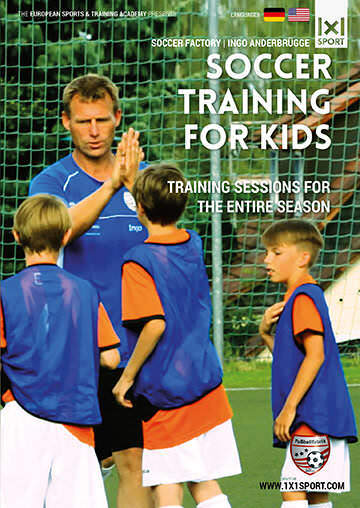 Click on the link after each description and you will find a clip from coach Anderbrügge’s training video “Soccer Training for Kids” that will show you exactly what you need to do! 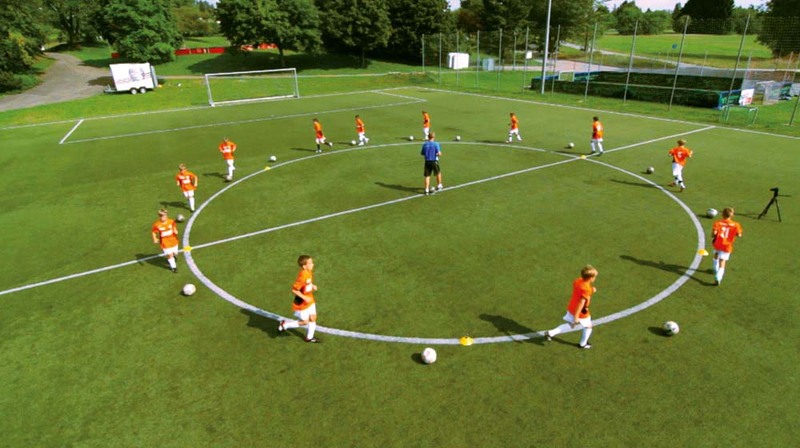 Every prolific young team needs a perfectly structured training program! 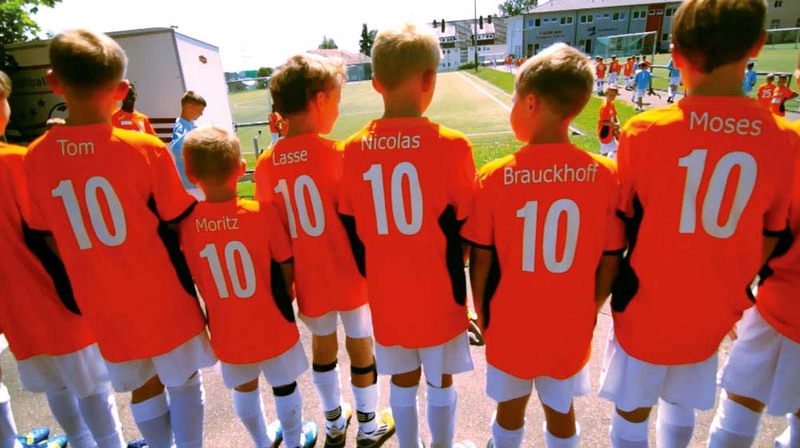 Coach Anderbrügge’s soccer school gives kids the chance to take part in training sessions that are both professional and effective. His training methods cover all the important fundamentals and they work for all types of players, regardless of their experience and their skill sets. The following tips will help you to plan and organize effective training sessions in minimal time. 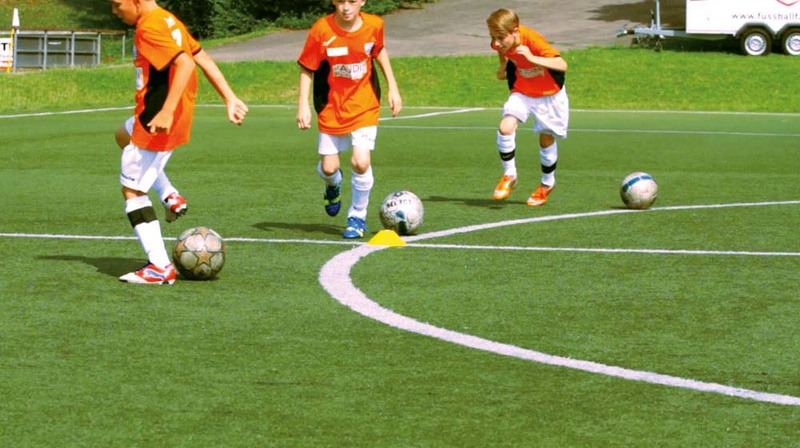 We kick things off with an Under 11 training session focused on dribbling. 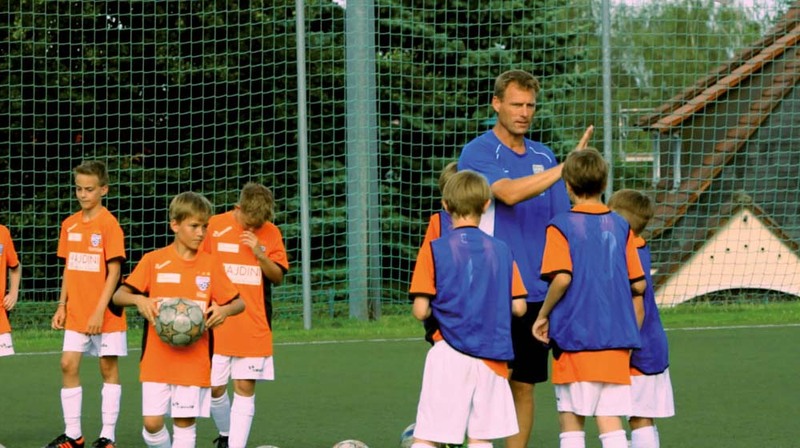 The former Bundesliga star player has many years of experience in youth soccer coaching, that’s why he knows that it takes a sophisticated structure to make each practice a success. Passing, dribbling, coordination and reaction speed are just some of the focal points he works on with the kids. As a general rule, each of his training session’s consists of five phases: during the first fifteen minutes he gets his players accustomed to the topic at hand. A warm-up game often works great here. In the second phase, the kids work on tricks centered around a certain subject. If we assume that the training session is focused on passing, a pass circulation drill is a great option here. During the third phase Coach Anderbrügge initiates a game-based drill that is designed to maximize the number of passes for each player. In phase four the coach picks up on the focal point of the second stage, only now each drill is combined with shots on goal. This intensifies the drills and the kids simply have more fun. The fifth and final phase features a training game where the kids can put the things they’ve learned to the test. Here you should make sure to structure this game in a way that is consistent with the training sessions theme. If we still take passing as an example, the training game could look like this: two target players are positioned on each goal line and the object of the game is to complete a pass exchange between the target players and their teammates before scoring a goal. Since those goals are worth three points the kids will be extra motivated to apply their newly acquired skills as frequently as possible. The practices last from fifteen to twenty five minutes and the players remain motivated throughout the duration of the training session. 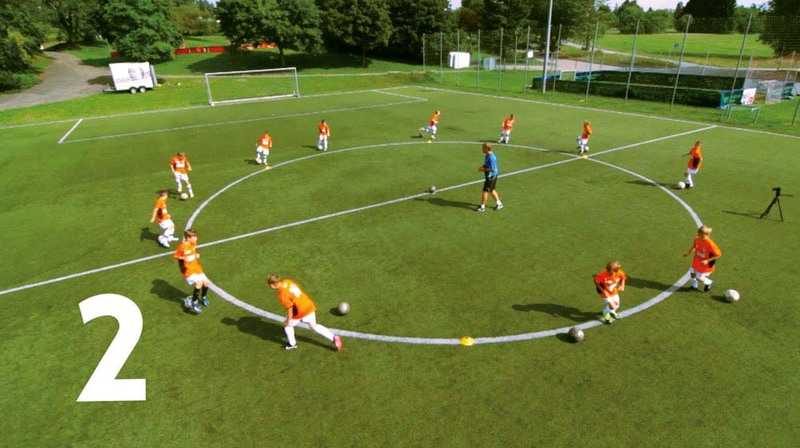 To get the players accustomed to the session’s theme, Coach Anderbrügge has selected a dribbling circle drill. 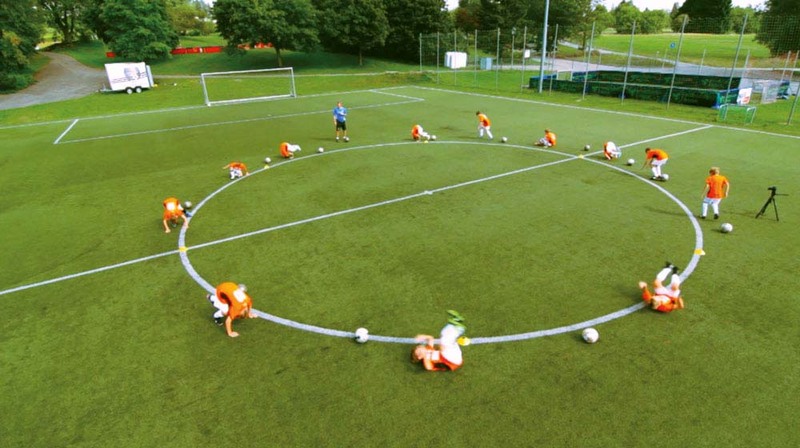 The players form a circle and each player is positioned equally spaced to the next. The center circle is a good point of reference here. A cone is positioned next to each player. The drill starts off with the players dribbling around the circle. They should keep the distance to the player in front of them. Once you call out a number, the players have to perform a certain task. If he shouts “1”, the players should trap the ball with the sole of the foot, and then move on to the ball of the player in front of them. This is repeated for two or three times. 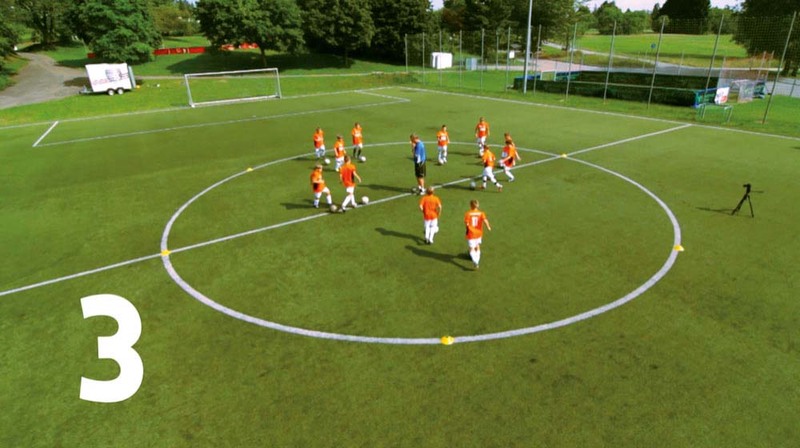 If you shout “2”, the players again trap the ball, only this time they should move in the counterclockwise direction. After a few minutes you also shout “3”, which means that the players now have to run over to the opposite side of the circle. They must make sure not to lose their ball or to bump into one of their teammates. When they’ve reached the other side they should continue to run in the same direction as before. This drill can intensified by adding certain running motions such as side steps, cross steps or even forward rolls. This requires an increased level of concentration from the players.